The U.S. has provided some 30,000 vehicles to the Afghan National Police (ANP). Since the ANP cannot afford maintenance costs, and likely will not be able to do so for several years, the U.S. has been picking up the tab. But we may not be getting what we think we’re paying for. The problem, the report concludes, was that the U.S. command that awarded the contract did not adjust the terms to reflect the number of police vehicles requiring maintenance. $6.8 million is small fraction of the billions the U.S. has spent in Afghanistan. Since 2002, Congress has allocated over $50 billion to train and equip the Afghan security forces. Still, $6.8 million is not an insignificant amount, especially when the U.S. is looking for ways to cut back on unnecessary spending. Across the country budget cuts are hitting local police forces hard. Meanwhile, the U.S. continues to spend billions on Afghanistan aid projects — $28 million per day, according to the Inspector General. Some policymakers are starting to call for more transparency and oversight in Afghanistan aid. And we are making some progress. For example, the U.S. agency that oversaw this particular boondoggle has already made changes, updating its tracking system and removing over 7,000 vehicles that should not have been on the maintenance list. The Inspector General estimates that this improvement will save U.S. taxpayers $5.5 million per year. It’s a step in the right direction, but it’s not enough. 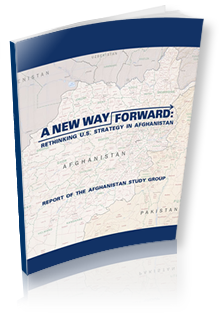 Eliminating a few unnecessary and unsustainable programs will yield some savings, but the problems will continue until the U.S. develops a new strategy for Afghanistan that links long-term strategic goals with smart budget choices. Last week’s announcement that U.S. and allied forces will transition more quickly from a combat role to training and advising left many of the big questions on next steps unanswered. Afghan president Hamid Karzai said negotiations on immunity for U.S. troops are ongoing, with a decision expected this year. The immunity question is a factor in whether U.S. forces remain in Afghanistan after 2014. Regardless of the final decision on troop levels, the U.S. financial commitment to Afghanistan will likely continue. Unfortunately, over the past eleven years “commitment” meant a steady stream of money but no effective strategy for spending it. U.S. and NATO commanders have been asked to provide advice on what could be achieved with U.S. and allied troop numbers at various levels—but nothing on a complete drawdown, the officer said. Days after Afghan President Hamid Karzai and President Obama seemed to agree on the future role of U.S. forces in Afghanistan, a division has emerged over one of the American military’s most prized defense programs. A decision on immunity for U.S. troops staying in Afghanistan after the 2014 planned withdrawal will be made by the end of the year, Afghan President Hamid Karzai said on Monday. In the approaching twilight of its war in Afghanistan, the U.S. is forging ahead with a giant infrastructure project long criticized as too costly in both blood and money. [If] the U.S. is still able to mount an effective counter-terrorism effort without many boots on the ground, the light footprint strategy should be implemented. A costly war is coming to a close, just as the far larger Iraq conflict did. In Afghanistan’s case, the future remains uncertain and worrisome.